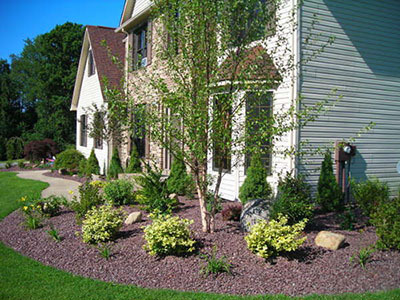 Blooming Valley Landscape & Supply’s design services are of the highest quality and professional standard. Setting us apart from the competition, we will not send a salesman to give you a sales pitch only to pass you off after you buy into it. We are proud to greet you with a highly educated professional landscape designer and project manager right from the beginning whom will stay with you throughout your project to the end. Your initial consultation may be with our landscape designer Mitch Hohmann. Mitch has a Bachelor of Science degree in Landscape Architecture from The State University of New York College of Environmental Science and Forestry and has over 10 years of experience in landscaping and holds many relevant certifications. Mitch is very detail oriented and recognizes the potential in each site. Mostly digital landscape designs are used to present the customer with a visual of the landscape plan, however drafted landscape plans are sometimes needed and utilized. Mitch treats each and every project with the utmost importance from start to finish, creatively exceeding all expectations through organized plans and project management. Jason Howles, company owner, also manages many projects from initial consultation to the final installation. Jason is certified in installing retaining walls and patios through ICPI, Versa Lok, and NCMA as well as cleaning and sealing through Techni-Seal. Jason is also trained in installing professional water features through Aquascapes Inc. and complete landscapes with over 15 years of experience landscaping professionally. 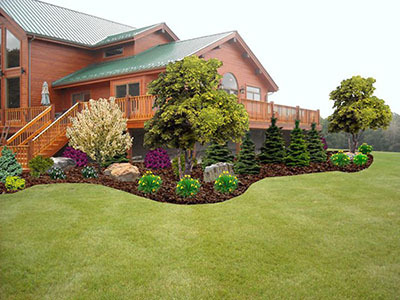 Jason uses our digital computer software program to create distinctive and functional landscape designs. Hand rendered drawings are also used if needed to portray the concept. You may also meet with Wes McWilliams if you are also inquiring about property maintenance. Wes has a Bachelor of Science degree in Turfgrass Science from Pennsylvania State University and Environmental Geosciences Curriculum from Clarion University of Pennsylvania. Wes has over 15 years of experience in the landscaping and turfgrass industry and holds many relevant certifications. Although Wes mainly works with maintenance customers, he occasionally produces designs (both digital and drawn) and follows such projects through to finish. Commercial and industrial clients will meet with company owner Jason Howles. Please see construction for a complete profile.